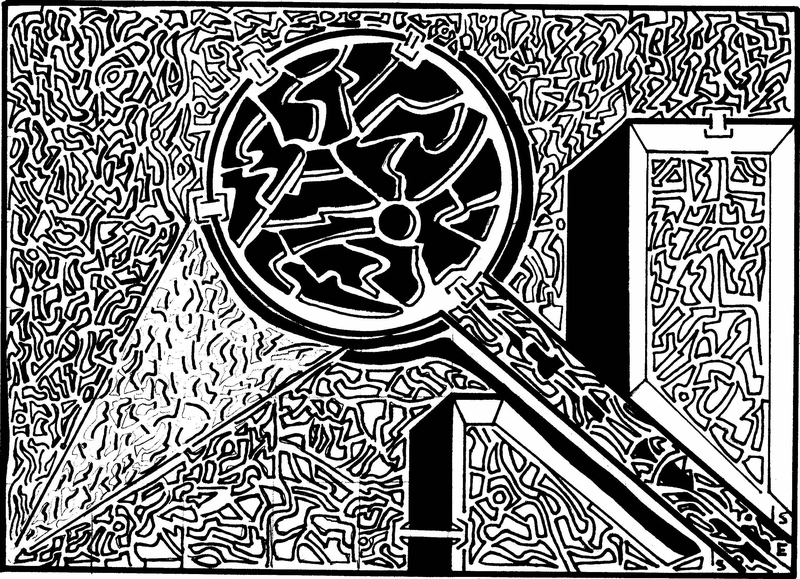 Maze 162: I really like creating this maze. For the first time this fall it felt like I was being creative and new with my work instead of just making a maze. The fall and winter season is usually my “creative” vacation time but the project has made me challenge those beliefs. By fighting through the creative block I realize that the past few years of me taking the cold months off was a cop-out. The past few weeks may have not been my best efforts, but they were efforts. I feel good about this maze and the return of creative ideas. Please visit http://www.etsy.com/shop/MazeingART to order the 2012 Maze-ing Calendar. ~ by Warren Stokes on November 30, 2011. This one is indeed very cool. You are working through so much stuff. Thanks for letting us share it with you.